All steel construction – Available in No. 4 (brushed) stainless steel, polished stainless steel and grey powder coated steel. Hinge material is 11 ga. , mounting holes are .281”. 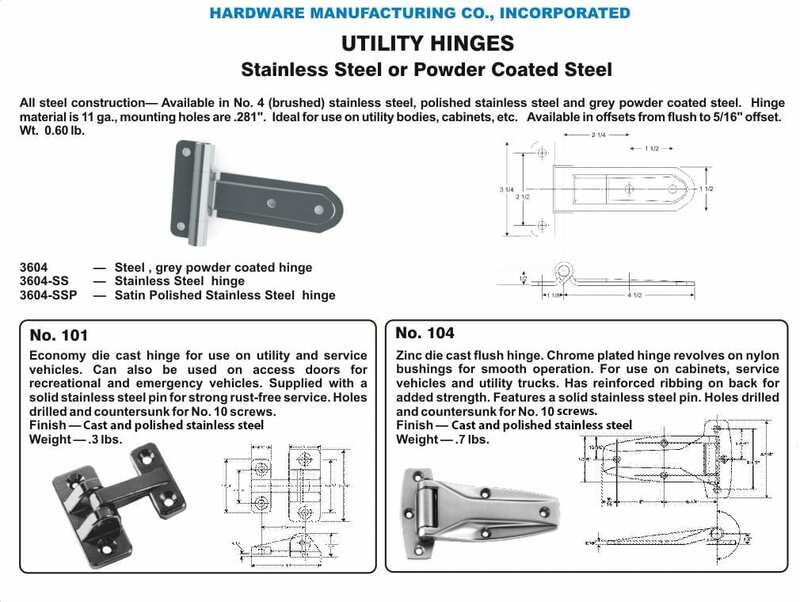 Ideal for use on utility bodies, cabinets, etc. Available in offsets from flush to 5/16” offset.